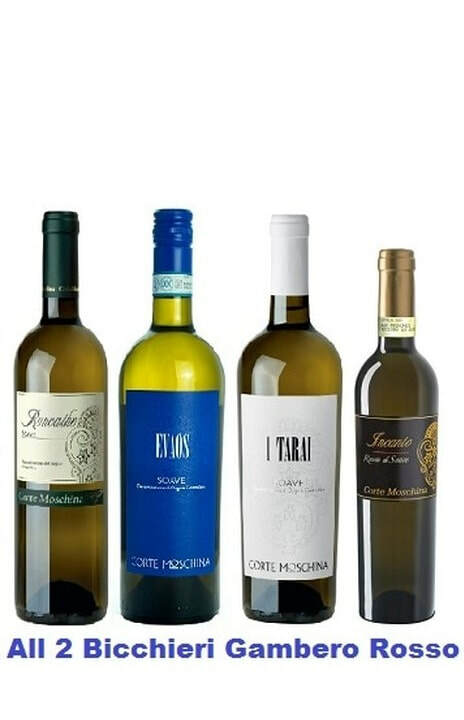 We are now able to offer 3 Soave white wines from Corte Moschina (pronounced Korte Moskeena). The Roncathe and EVAOS are fresh, dry and crisp, the I Tarai is fuller and more complex from a special and important Cru vineyard. All wines are hand harvested and made in small volumes using the latest winery technology to preserve Soave terroir characteristics. We have now added a Valpolicella, a Ripasso and an Amarone as well as their top of the line blends Raise Bianco and Rosso to our range, they are simply beautiful. All wines have been awarded 2 glasses from Gamberro Rosso Italian Wine Guide - that is exceptional at these price points.